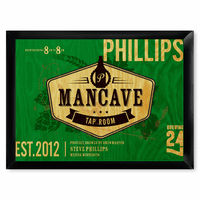 FEATURES/SPECS There are many man caves out there, but there is only one "Official Man Cave." 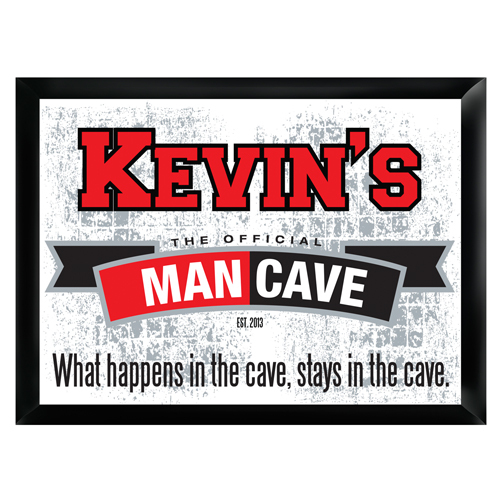 And what happens in the official man cave, stays in the office man cave, right? 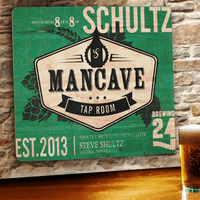 Let every visitor to your cave know these simple truths with this personalized official man cave pub sign. Made of solid wood, it comes printed in vibrant red and black on a white background. We'll add your first name across the top, listing you as the owner of this man dwelling along with a date of establishment. 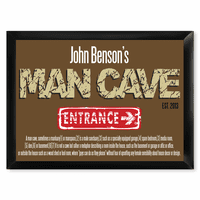 Don't be fooled by other signs, there is only one "Official Man Cave" sign! 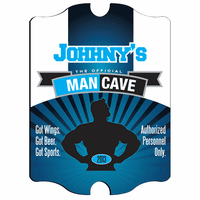 Comes painted with the words "The Official Man Cave" and "What Happens In The Cave Stays In The Cave"